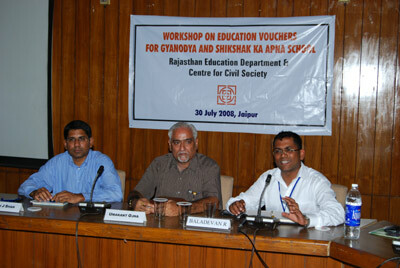 Workshop in Rajasthan - School Choice Campaign: Fund Students, Not Schools! 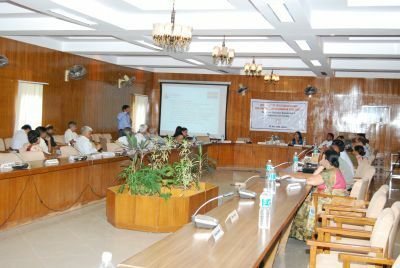 School Choice Campaign conducted a one day interactive workshop on 30 July 2008 for the Rajasthan Education Department on Education Vouchers in the context of the Gyanodaya and Shikshak Ka Apna School schemes launched by the Government of Rajasthan in its 2008-2009 Budget. 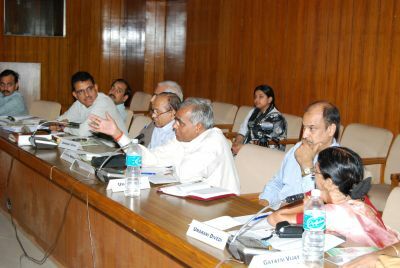 Present amongst the participants were Shri Sudhir Bhargava, Principal Secretary-School Education, Government of Rajasthan, Srimati Veenu Gupta, Secretary, School Education, Government of Rajasthan, various District Education Officers (DEOs) and heads of key NGOs working on education like UNICEF. The Gyanodya: scheme in which charitable and private institutions will be allowed to establish senior secondary and secondary schools at panchayat headquarters with help from the government. The Panchayat headquarters for the pilot phase will be selected based on immediate need and where children have no access currently. The Shikshak Ka Apna Vidhyalaya: scheme will allow trained unemployed teachers to adopt government schools with very less enrolment or to build new ones for which the government would extend help. Both the schemes will be launched in a phased manner and use education vouchers, coupons with which parents will be able to choose their wards’ school and play active role in their children’s education. Centre for Civil Society (CCS) has the experience of running the Delhi Voucher project, the first such project in India, and has researched extensively on education vouchers as adopted in other countries. It will share its research findings with Rajasthan and offer technical expertise in the implementation of these two new schemes. This one day workshop conducted for the key officials of the Rajasthan Education Department was successful in exploring the various voucher models that Rajasthan could adopt for its schemes. Before the participants divided in groups and explored the ideas, they were given key inputs and an overview of how voucher schemes in other countries work by Dr Parth J Shah, President of CCS and a former Professor of Economics at Michigan University. 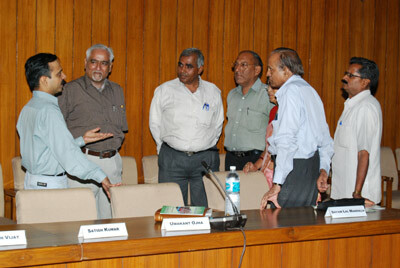 This gave the background and helped the DEOs to explore practical ways to adopt vouchers in Rajasthan. In the sessions, the working groups focussed on solving issues related to indentification of the beneficiaries, transaction ecosystem and evaluation. 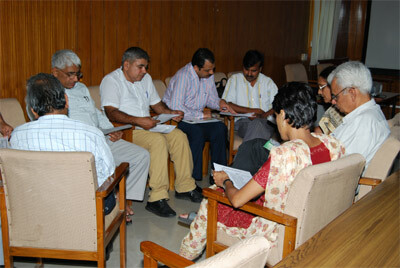 The working groups presented their recommendations to Srimati Veenu Gupta, Secretary, School Education. The occasion was also used to release the first copies of the two schemes Gyanodya and Shikshak Ka Apna Vidyalaya.